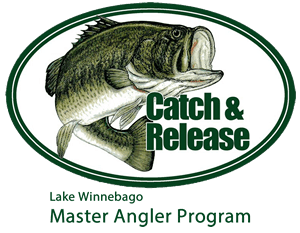 Anglers have been out in large numbers, especially on Lake Winnebago and the upper lakes as record-breaking high temperatures were seen in the region. 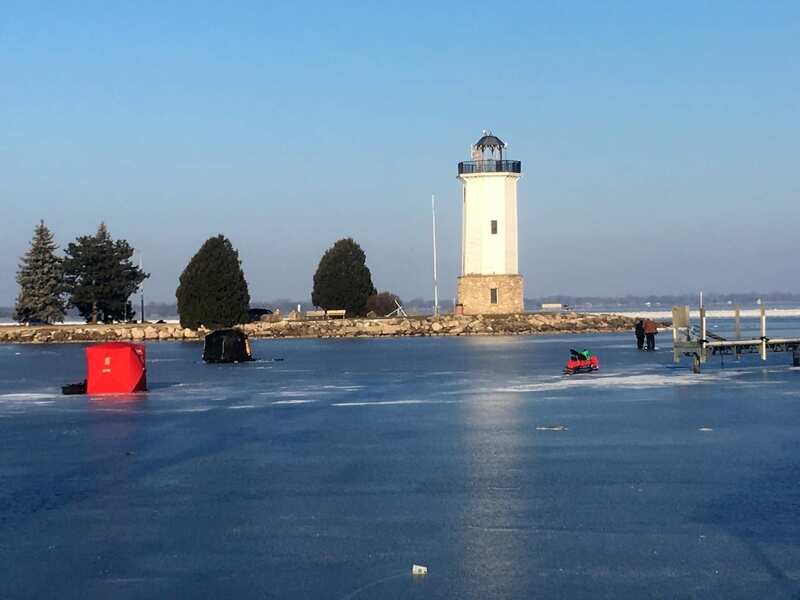 On Lake Winnebago, a significant lake fly hatch has occurred. The impact was seen on weather radar due to the thickness of the fly swarms, showing up like falling precipitation. 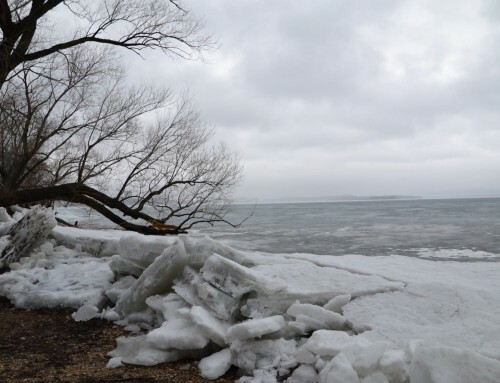 This has been a lake-wide event with the northeast shore with a most significant impact. Walleyes have been feeding heavily on the flies and larva. On windless days, the flies are problematic. Water temperatures have drastically changed over the last several days and are significantly varied throughout the system. 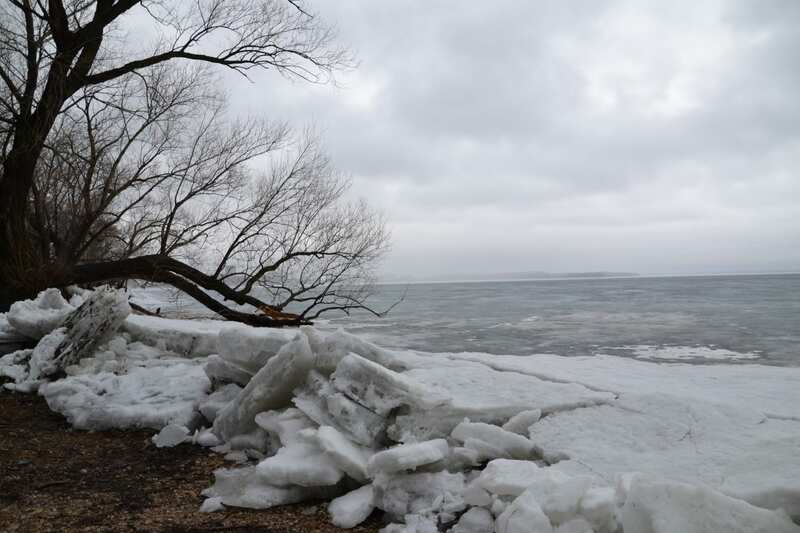 Lake Poygan is currently registering temperatures as high as 79° with Menasha (on Lake Winnebago) coming in at 67°. Fond du Lac registers 74°, and Oshkosh was 73°. The drastic change in water temperatures is driving fish behavior. Water clarity is improving and is about seven-feet of visibility in most areas. White bass have moved into critical river locations on both the Wolf and Fox Rivers as part of the annual spawning run. White bass have been thick in Fremont, WI and large catches are starting to be seen. However, the run is not as strong as many years. Target these fish with crankbaits, spinners, Wolf River Rigs or anything that has vibration and flash. Overall size has been very good with a few larger white bass over 14+”typical in the baskets. If fishing bottom in these locations, catfish have been common also. Crappies have been very active in Asylum Bay and the harbor in Fond du Lac. As of Saturday, many of these crappies are migrating to deeper water and are now post spawn. Many giant crappies have been seen this year, with some fish pushing into 15” ranges. Walleyes are in various stages of movement and are scattered in all areas of the system. Just about any tactic is working right now if you are in the appropriate location for the presentation. In the mouth of the Fox River, there are many fish staged along with an abundance of sheephead. 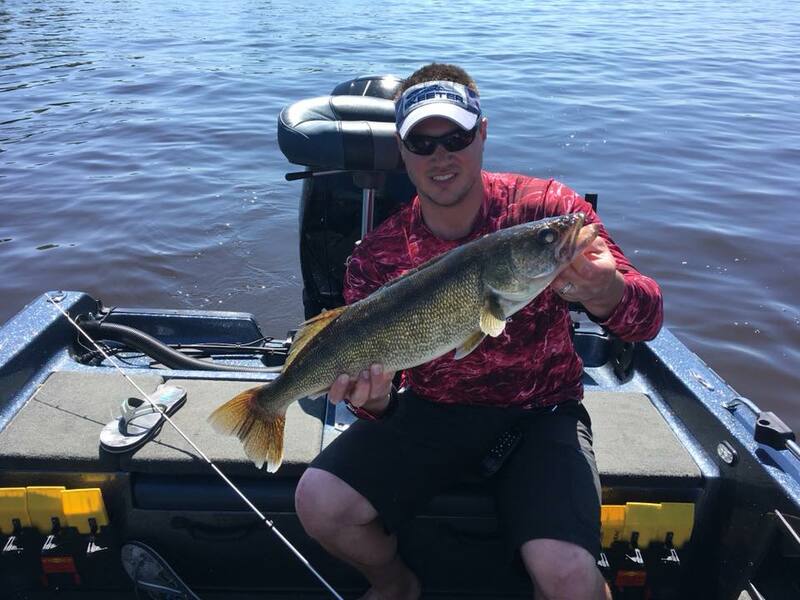 Walleyes are common but have been running on the average size. The 2014 and 2015-year classes are predominant right now with 13-16” walleyes prevalent. However, some larger walleyes have been migrating through the area also. White bass and catfish are also common. Pulling flies or running slow death crawlers were the best method to attract these fish. On the main lake, the east shore has substantial numbers of walleyes, as they have followed the lake fly hatch. Trolling has been the preferred method, with both cranks and crawler-harnesses performing well. The south end of the lake has scattered walleyes. I was surprised at the lack of marks on the locator while searching the area on Friday. There was very little bait found. Friday produced walleyes on the reefs with dragged crawlers. Larger walleyes were caught on Salmo Hornets, target in the 7 to 10-foot ranges where emerging weeds were found nearby. Highly unusual for Lake Winnebago, every fish I caught was a walleye. White-bodied baits out produced other colors. The mud has started to host more significant numbers of fish. While few anglers were targeting this area, the electronics are indicating robust populations. On the north end of Lake Winnebago, there have been larger walleyes in the transition areas. With the clarity of the water (clear), running the crankbaits mid-column has been very productive. Gold has been an excellent color in this area, along with perch influenced patterns. 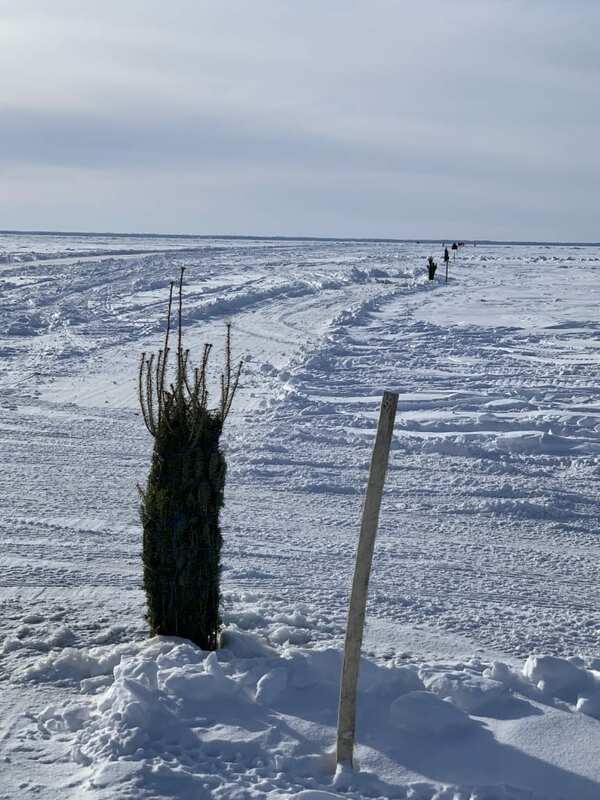 In Lake Winneconne, the area just north of the main river buoy’s is outputting strong numbers of fish. It’s a complete smorgasbord of species including white bass, pike, walleye, sheepshead, crappies, catfish and bluegills. Even a stray musky has been reported. 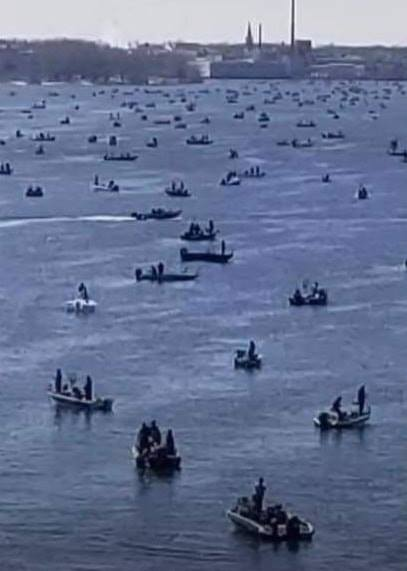 With the high-water levels seen in 2018, the Wolf River remains with a heavier population of walleyes for this time of year. The fish have persisted in the river post-spawn as there is sufficient current and food to hold them in the river. These fish can be expected to “flush out” into the upper lakes when water temperatures reach levels of un-comfortability, water levels drop, or oxygen depletes. 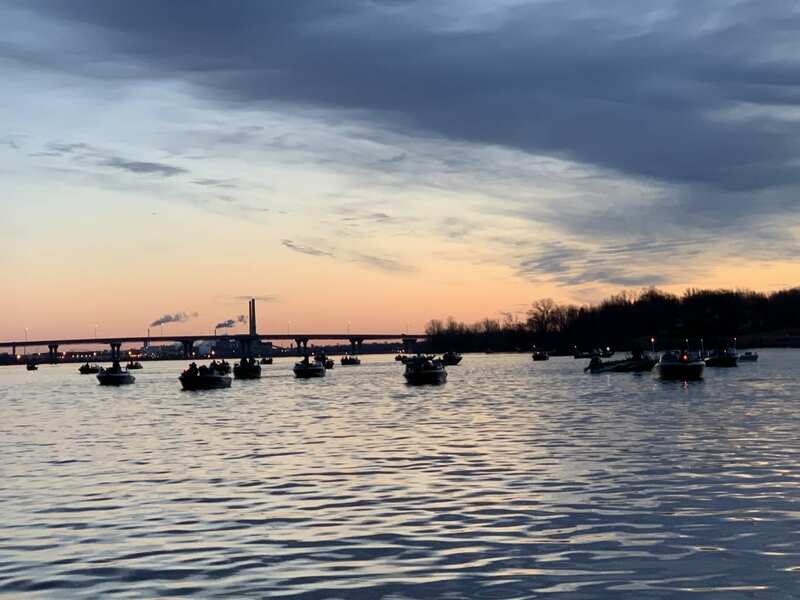 Walleye Tournaments: Houge’s Bar tournament was Saturday. Pat Kolbe and Nate Hughes pulled 17.12 pounds on 4 Walleyes. Pat is a friend of the myfishingpartner.com site, and we send our sincere congratulations to both Nate and Pat. 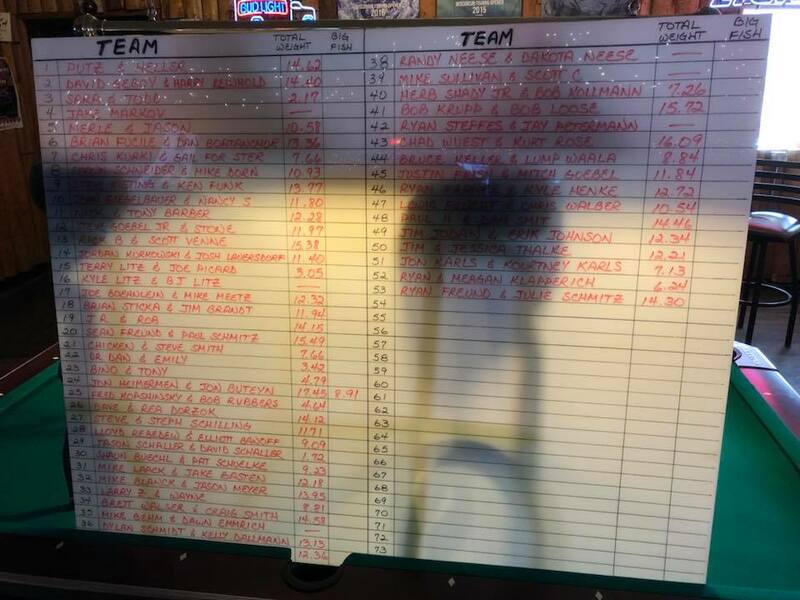 In the Beer Run tournament (Malone WI/Lake Winnebago only), the winning team pulled 17.45 pounds with a massive walleye which checked in at 8.91 pounds. 58% of the teams registered over ten pounds. The upcoming weekend is a heavy tournament weekend. Expect heavy traffic on both Saturday and Sunday. We encourage your reports! mark@myfishingpartner.com is my email. It’s a massive system and your help makes it possible to cover the entire region! Have a great week.